Raggedy ABCs Baby Crib Quilt Gift Set combines a vintage design with sustainable renewable bamboo to update a favorite pattern. This one of a kind, Raggedy ABCs baby crib quilt features alphabet panels with Raggedy Ann and Andy against a solid red fabric. 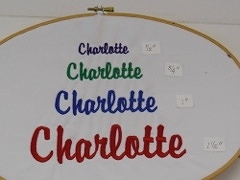 The center of the 36x48-inch crib quilt is perfect for custom embroidery with the baby's name, birth date and location. To add to the theme, we added two handmade 8-inch Raggedy Ann and Andy decorative dolls that can be used in the nursery for decoration. 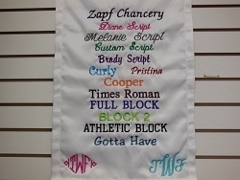 They can also be attached to the center of the baby quilt for a cute wall hanging. These dolls are for home decor only. One of a kind. Machine wash the crib quilt in cold; dry on cool. Dry clean the dolls. Size: crib quilt 36x48 inches.